Pheebert's Stone Garden Ornament - Gregory The Gargoyle high-quality garden feature, hand made using a special mix of aggregate which is frost proof, but still ensuring a high quality detailed finish. English cast stone hand-finished with a patina to resemble antique stone, an effect that is enhanced by time and the weather. Following the centuries old tradition of gargoyles, this youngster pull faces at passers by. 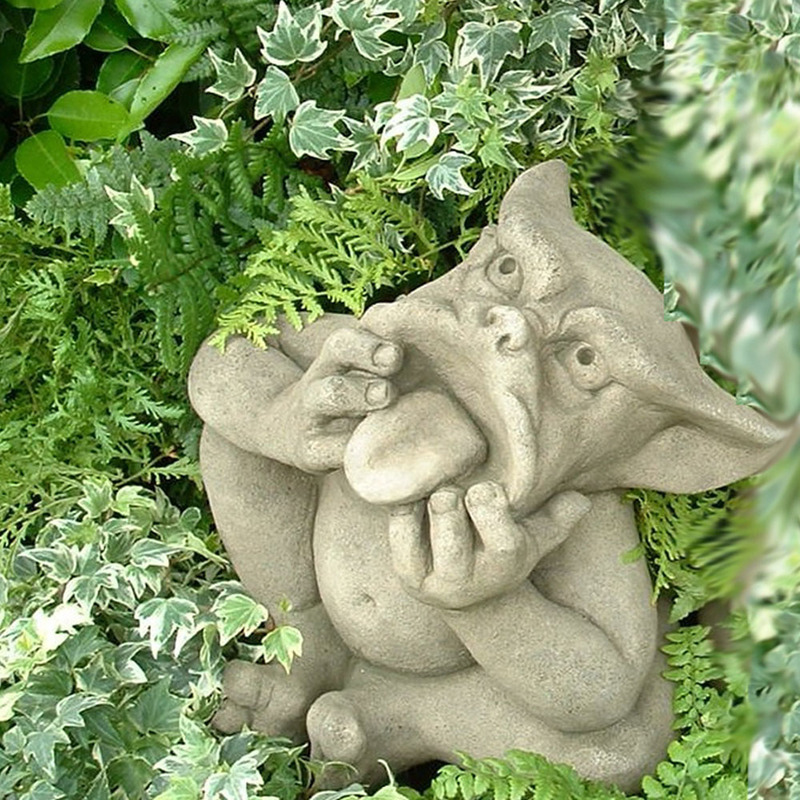 A humorous little piece that you might be surprised to come across in a flowerbed or by a front door, either on his own or with Ivan!. Pheebert's garden statuary carries a small, pewter Pheebert’s seal of authenticity near the base to show that it’s genuine.